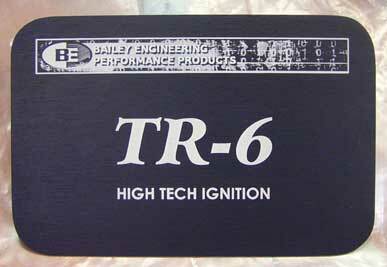 We have had requests to make a dress up plate for the new TR-6 high performance ignition. Made to order item so expect at least a week before it ships out. Attaches with supplied double sided tape.